Culture of Barra do Piraí represents the soul of Rio: it combines the traditional and the contemporary with great harmony. It is where one can see the centuries of history of the state and also its future, its thinking youth, and much more. The splendor of the 19th century still beautifies the city, where one can find the Ponte Alta Farm, the Cathedral of Saint Anne, the Station building - that heavily contributed to the development of Barra do Piraí. 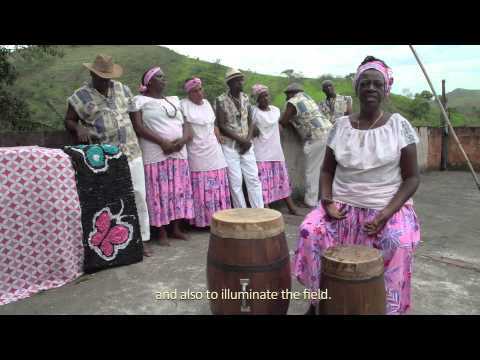 The legacy from the coffee cycle is not only material, it can be heard, danced, and felt through Aunt Marina's or Eva Lúcia's jongo (a dance and musical genre of black communities from southeast Brazil) sessions. A community very fond of the genre, which is organized and inserted in networks. A community that understands its value and the importance of making it known. Connected and cosmopolitan, such as the participants of project Luz, Câmera, Educação! (Lights, Camera, Education! ), who turned Barra do Piraí into an important center for audiovisual production. There, the yesterday and the today are not mutually excluding nor conflicting, in fact they are combined to promote artistic creation. The settlement in Barra do Piraí began at the mouth of the Piraí River, in a farm owned by Antônio Gonçalves de Moraes, which still stands in its original location and is a witness to the history of the city. In 1853, Moraes built a small wooden bridge over the river, around which the region's first village was formed, the town of Saint Benedict. The construction of a railway, in 1864, brought about the development and the town became an important center for coffee trade, because of which it was promoted to Parish of São Benedito de Barra do Piraí. With the extensions of the railway linking the village to the States of São Paulo and Minas Gerais, as of 1881, Barra do Piraí became the largest railway junction in South America. Its central economic status in the Paraíba Valley, consolidated even before its independence, which occurred in 1890, advanced into the 20th century. For its transport infrastructure, Barra do Piraí did not suffer the impacts of the coffee crisis and slavery abolition like the other neighboring municipalities. The city consisted of the lands dismembered from Piraí, Vassouras, and Valença. The rail lines that crossed the city began to lose importance in the 1950s, with federal and state investments moving towards the highways. It offers courses such as Biomedicine, Physical Education, Civil Engineering, Mechanical Engineering, Management, Language, Environmental Management, History, Life Sciences, Accounting, Arts, Computer Science, Nursing, Mathematics, Education, and Social Services, among others. Courses: Education and Computer Systems Technology. Following the principles of the Brazilian Academy of Letters, Barra do Piraí Academy of Letters gathers not only writers, but all those who might be considered remarkable, including doctors, engineers, and other prominent professionals in the region. It has 25 chairs, 18 of which are currently occupied. Among its activities, it regularly promotes lectures in schools, to discuss with the students the importance of literature and other topics of interest. Its members visit Academies of Letters in Southern Rio de Janeiro, to exchange ideas with neighboring colleagues in Valença and Vassouras, for example, and organize trova and poetry competitions, always open to participants from out of town, also. The top three authors are usually rewarded with free hotel stays in Barra do Piraí. The Academy holds its meetings on the last Saturday of each month, in the auditorium of the Commercial Association of Barra do Piraí, at Lúcio Flávio de Mendonça Street, 24, mezzanine, Downtown. For more information, contact President Evandro Oliveira, by e-mail evandroliveira@ig.com.br.